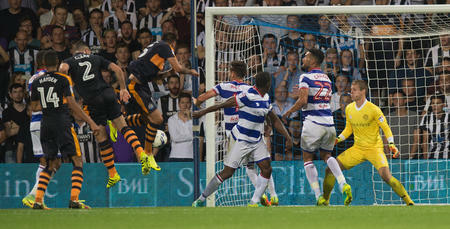 QPR registered a massive point on the road against Championship title-contenders Newcastle United at St. James Park on Wednesday evening. 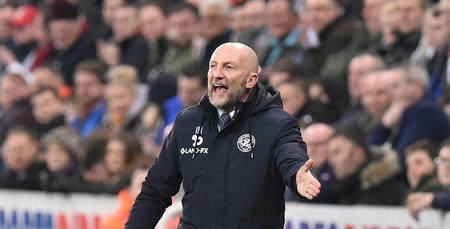 Ciaran Clark’s 90th minute own goal ensured Ian Holloway’s men left the North East with a deserved share of the spoils, after Rangers twice came from behind. Jonjo Shelvey’s first minute goal handed the hosts a dream start, but the R’s responded in some style, going on to dominate the majority of the first half. They were rewarded on 44 minutes when Conor Washington tapped home his fifth goal of the season, but despite chances at either end, it was the hosts who edged ahead on 54 minutes, with Matt Ritchie heading home. Over 600 R’s fans backed their team heroically throughout – and they were rewarded in the final minute, when Clark headed past Karl Darlow. Holloway made four changes for the trip to St. James Park. As expected, Ryan Manning and Jamie Mackie both returned to the starting XI at the expense of Michael Doughty and Kazenga LuaLua respectively. James Perch replaced Grant Hall, who missed out owing to an Achilles injury; whilst Washington came in for Idrissa Sylla (hamstring). Alex Smithies started in goal, lining up behind a back three of Perch, skipper Nedum Onuoha and Joel Lynch. Darnell Furlong and Jake Bidwell once again occupied the wing-back roles, with Manning returning in midfield alongside Massimo Luongo and Pawel Wszolek. Mackie partnered Washington in attack. The Geordies, sitting second in the Championship ahead of the clash, made nine changes from the side that bowed out of the FA Cup at the hands of Oxford United at the weekend. Only Isaac Hayden and Ayoze Perez retained their places, as Rafa Benitez reverted to type for the visit of the R’s. In front of 47,000-plus on Tyneside, Rangers suffered the worst possible start. Indeed, the game was only 39 seconds old when Shelvey – head and shoulders above any other player in the pitch in the 6-0 drubbing QPR took at Loftus Road in September – slammed the hosts in front. After failing to clear their lines, Rangers were punished in emphatic style by the England international, who fired the Magpies ahead from the edge of the box with a stunning half-volleyed finish that gave the unsighted Smithies absolutely no chance. The early goal gave the natives the start they craved, but to be fair Holloway’s side, they settled quite well thereafter. Luongo curled an opportunistic effort wide from 15-yards on seven minutes, before Wszolek wasted a golden opportunity on the counter-attack, momentarily delaying his shot to allow Jamaal Lascelles the chance to clear the danger. The visitors were enjoying the better of the exchanges as the half approached the quarter hour mark, with Luongo forcing Karl Darlow into a fine save from a downward header from Washington’s left-sided cross. Luongo found himself in space again midway through the half, but this time Lascelles blocked his 15-yard drive, as the R’s continued to create chances. Despite being a goal to the good, the home fans were becoming more and more restless, as Rangers – with Wszolek becoming increasingly influential – hustled and harried their opponents into mistakes. The Polish ace was a huge threat on the counter for the Hoops, and when he won a corner for the R’s a minute before the break, Rangers were rewarded with the goal their first half display deserved. Manning’s set-piece was only half-cleared towards the edge of the box and Bidwell’s shot was seized upon by Washington, who stabbed the ball past Darlow from inside the six-yard box. The goal was greeted with jubilation by the travelling Hoops faithful, who – to give them the full credit they deserved – continued to sing their hearts out in the Leazes End, as they had done for the entire first half. Rangers were good value for their goal, as the sides headed into the break on level terms. Newcastle came out for the second period fired up by Benitez – and Ciaran Clark headed over inside the opening three minutes of the half. The R’s were relishing the challenge though and when Wszolek capitalised on Paul Dummett’s miscontrol, the Hoops midfielder broke clear, only to see his shot saved by Darlow. That miss proved to be costly, however, as Ritchie headed the Geordies in front a minute later – leaving Rangers with it all to do once again. Sandwiched in between those two crucial moments, Shelvey was perhaps fortunate not to see red for kicking out at Mackie. The Newcastle number 12 was keen to make the most of his reprieve, forcing Smithies into a fine stop, with the former Swansea midfielder’s shot seemingly destined for the top corner. Both sides made changes on 66 minutes – new signing Luke Freeman replacing Manning and Sammy Ameobi entering the fray at the expense of Daryl Murphy. As Newcastle looked to turn the screw, Smithies saved superbly from Yoan Gouffran on 72 minutes, before LuaLua was sent on in place of Mackie. Smithies had to be at his very best again moments later, saving from Perez from a one-on-one situation, before Holloway introduced Sean Goss for his QPR debut 10 minutes from time. Rangers continued to ask questions of the hosts, and the equaliser they probably just about deserved arrived a minute from time. LuaLua played provider, sending a teasing ball into the box, that Clark inexplicably headed past Darlow. 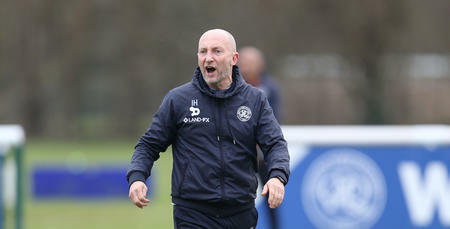 Holloway punched his fist inside the R’s technical area, as Rangers gained a massive point on the road! WATCH the main moments from St. James Park.